SACRAMENTO — State Superintendent of Public Instruction Jack O'Connell announced that 192 California public middle schools and high schools have been selected as 2005 California Distinguished Schools. For a list of the schools, please visit 2005 Distinguished Middle and High Schools - California School Recognition Program. 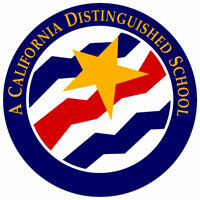 Initiated in 1985, the California Distinguished Schools Program is celebrating its 20th anniversary. This year also marks the largest number of high school awardees in the long history of the California School Recognition Program, selected from the largest number of eligible high schools to date. "At a time when we are challenging our middle and high schools to become more rigorous and more relevant to the lives and futures of students, I'm proud of these Distinguished Schools for setting examples of excellence," O'Connell said. "I am encouraged that more and more high schools are taking up this challenge to reach new academic heights so they are able to experience this significant honor." O'Connell also applauded California's 35 nominees for the 2004-05 national No Child Left Behind — Blue Ribbon Schools Program along with the 33 award winners of the 2003-04 national Blue Ribbon Schools Program. These schools will be honored along with the 2005 California Distinguished Schools. The California School Recognition Program honors elementary and secondary schools in alternate years. Representatives from the California Distinguished Schools, this year's Blue Ribbon School nominees and last year's award winners, and recipients of the career technical education awards will be honored on May 20 at an awards ceremony and dinner at the Disneyland Hotel in Anaheim . The Disneyland Resort, which is celebrating its 50th anniversary this year, is a major corporate sponsor of the event. Of the nearly 2,300 middle and high schools in the state, fewer than 465 were eligible to apply for the honor based on their Academic Performance Index and Adequate Yearly Progress results. The 288 schools that filed applications this year underwent a rigorous selection process conducted by the California Department of Education (CDE) in partnership with the California County Superintendents Educational Services Association, and with the help of many local educators from across the state. The schools were evaluated by teams of local educators under the direction of CDE, and those schools judged to be exemplary were visited by an outside review team to validate the application information. Supporter ($1,000) Anaheim/Orange County Visitor and Convention Bureau, Apple Computer, Association of California School Administrators, California Association of School Business Officials, California County Superintendents Educational Services Association, California School Boards Association, California State PTA, California's Coalition for Adequate School Housing, ChevronTexaco, GreatWater, IBM Corporation, Ingram Micro Inc., The J. Paul Getty Trust, Lucasfilm Ltd., and Toshiba America Electronic Components, Inc.